Imagine you’ve put all of your most valuable items in a safe. And once you go to get something out, you’ve either forgot the combination or the key isn’t working. It can be quite frustrating knowing your most valuable belongings are locked inside and you aren’t able to open it. Well, that is what Locks Me Service is here for. If you ever experience a Safe problem, whether it be opening it, making a new key, or even helping to upgrade your safe, call our locksmith company asap. We are able to do it all for great prices. 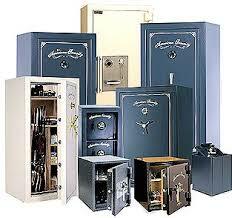 But the best part is that safes aren’t the only thing we are able to help you with. We are also able to help out with: Emergency Lockouts, Lock Change / Repair / Upgrade, Lock Rekey / Master Rekey, Lock Fresh Installation, Free Telephone Consultation, Electric Strikes, Break-In Repairs, Combination Locks, High Security Locks, Mail Box Locks, Cabinet / Filing Cabinet Locks, Electronic Locks, Panic / Fire exit Devices, Safes, and much more! Not only are we able to help you out with just about any locksmith need. We are also able to come out to you in almost no time at all. We always have trained and certified technicians on standby so that we are able to get a technician to you just 20 minutes after the call is dropped with a member from our dispatch team. Locks Me Service is a 24/7 service meaning you could call us at any time of the day or night. And we’ll send someone to you right away 24 hours a day, 7 days a week, 365 days a year. We are always up and ready to help you out with any situation you throw at us. 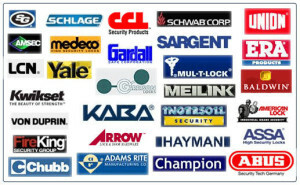 All of our technicians have gone through intense training making it easy for them to help with any lock or safe. No matter how old or how new it might be. And they are always able to answer any questions you might have about a job that’s being done or maybe even a future job to advance your current security. No matter the job or the time, give Locks Me Service a call today!